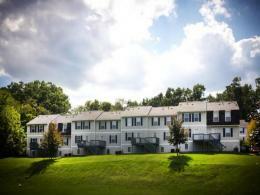 When it comes to your university housing needs, Copper Beech gets it. Here, college students can have real privacy with their own bedrooms and bathrooms. Not only do we provide more square footage than any other university apartment, our student housing community also offers many convenient amenities for our residents to enjoy. Located minutes from Penn State University, PSU students can easily take the CATA bus to the university as well as enjoy the benefits of downtown State College. Contact us today for off campus housing or check out our other State College locations.